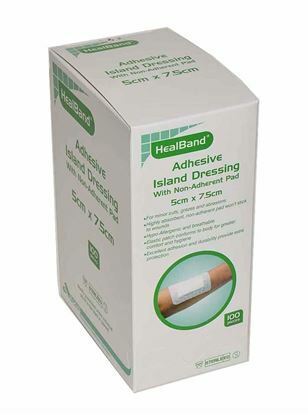 A combined sterile 12cm x 12cm dressing and bandage in one compact pack for fast and effective application. 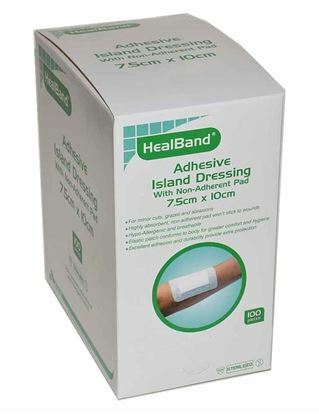 A large combined sterile 18cm x 18cm dressing and bandage in one compact pack for fast and effective application. 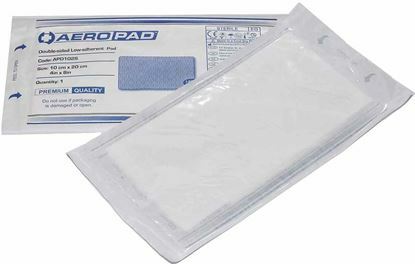 Sterile non-adhesive inner 2.5 x 4.5cm dressing pad, with an adhesive "Hypafix" type surround (overall 5 x 7.5cm) which stretches automatically to accommodate body movement and retain position even under moist conditions. Sterile non-adhesive inner 2.5 x 4.5cm dressing pad, with an adhesive "Hypafix" type surround (overall 5 x 7.5cm) which stretches automatically to accommodate body movement and retain position even under moist conditions. Box of 100 individually wrapped sterile island dressings. Sterile non-adhesive inner 6.5 x 4cm dressing pad, with an adhesive "Hypafix" type surround (overall 10 x 7.5cm) which stretches automatically to accommodate body movement and retain position even under moist conditions. Sterile non-adhesive inner 6.5 x 4cm dressing pad, with an adhesive "Hypafix" type surround (overall 10 x 7.5cm) which stretches automatically to accommodate body movement and retain position even under moist conditions. Box of 100 individually wrapped sterile island dressings. Sterile non-adhesive inner 15 x 5cm dressing pad, with an adhesive "Hypafix" type surround (overall 20 x 10cm) which stretches automatically to accommodate body movement and retain position even under moist conditions. Box of 50 individually wrapped sterile non-adhesive inner 15 x 5cm dressing pad, with an adhesive "Hypafix" type surround (overall 20 x 10cm) which stretches automatically to accommodate body movement and retain position even under moist conditions. 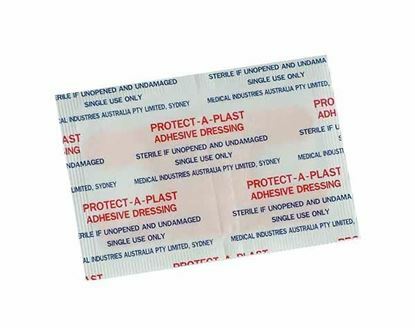 Individually wrapped sterile, highly absorbent dressing with non-adherent double sided polyester film. Box of 100 Individually wrapped sterile, highly absorbent dressing with non-adherent double sided polyester film. 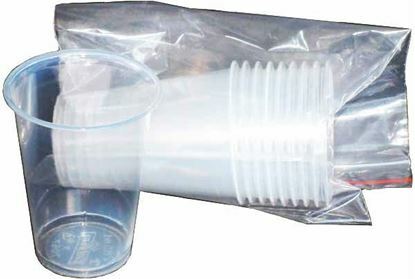 Box of 100 individually wrapped sterile, highly absorbent dressings with non-adherent double sided polyester film. Box of 50 individually wrapped sterile, highly absorbent dressing with non-adherent double sided polyester film. This dressing strip can be cut to size. 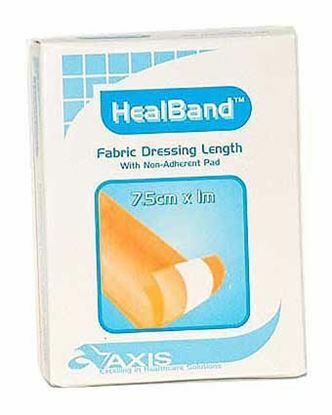 Contains a central 3cm wide dressing pad with adhesive fabric tape either side (7.5cm width overall). 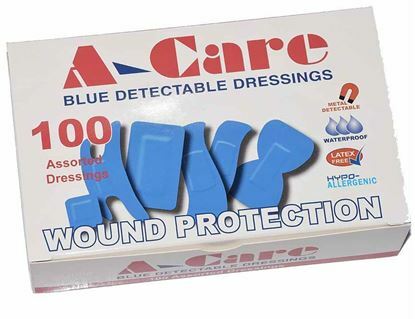 Box of 100 assorted detectable blue dressing strips including; spots (10), knuckle (5), regular (65), wide regular (10), super wide regular (5) and finger-tip (5) dressings. Pack of 20 assorted shapes and sized individually wrapped sterile plastic hypoallergenic and latex-free strips for rapid healing. Contains 8 x regular, 4 x wide, 4 x square shapes and 4 x spots. 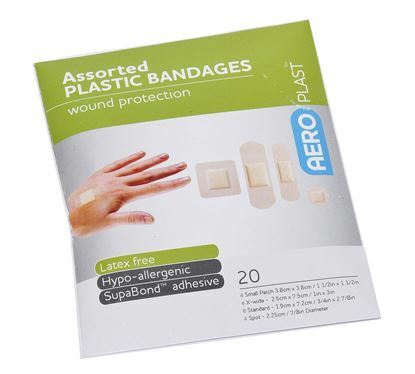 Pack of 50 Protect-a-plast individually wrapped sterile adhesive knuckle plastic dressing strips.